According to the Food and Agricultural Organization of the United Nations, in the period from 2001 to 2003, Americans consumed 193 kcal/person/day of poultry meat, which made the United States rank seventh in that category. 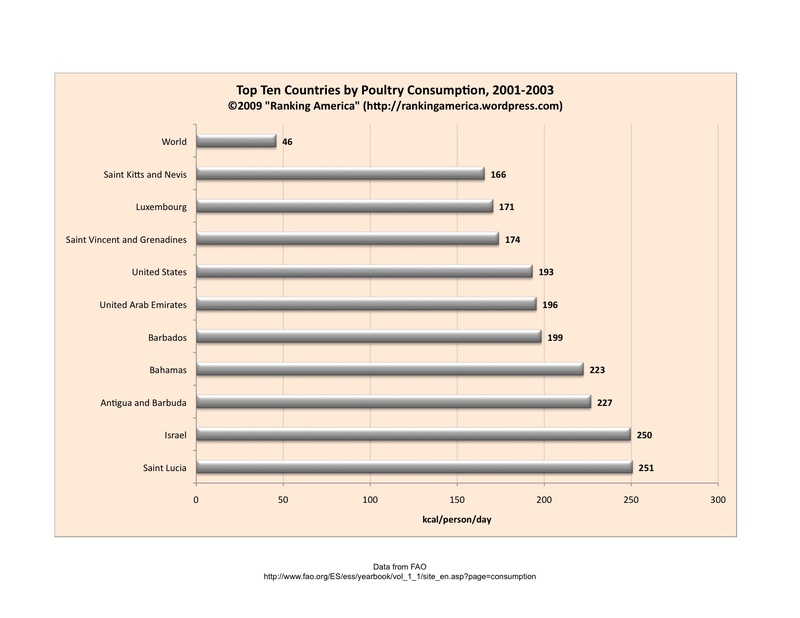 St. Lucia ranked first, consuming 251 kcal/person/day of poultry meat. The global average of poultry consumption was 46 kcal/person/day. 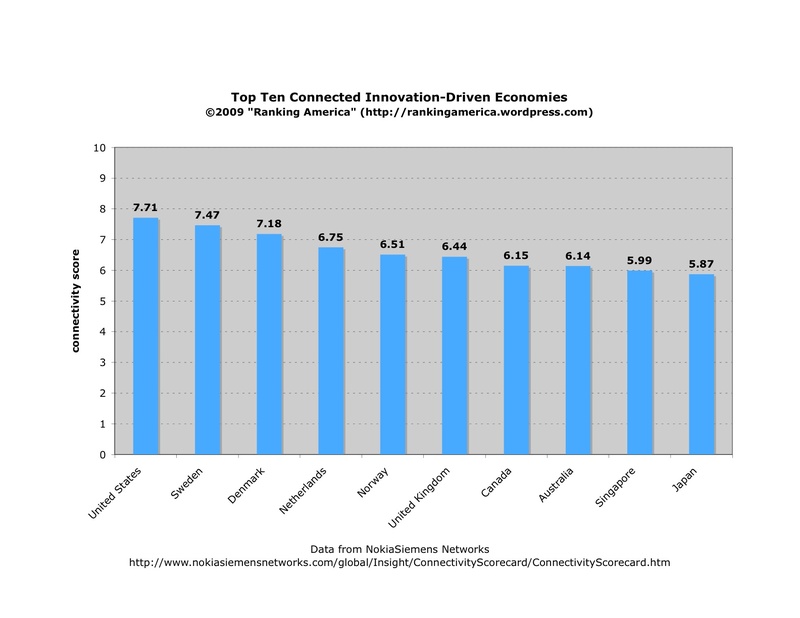 According to NokiaSiemens Networks, the United States ranks first in connectivity among twenty-five innovation-driven economies.